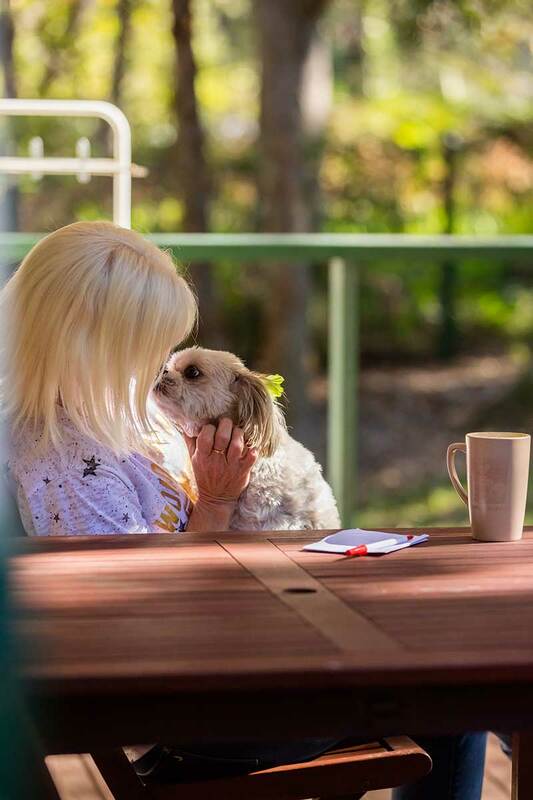 There are a few simple rules and conditions of stay for pets while at The Retreat Port Stephens. • Under the Caravan Park and Camping Grounds Act and Regulations pets are NOT allowed in any accommodation or facilities at any time. • The Park laundry, pool and barbeque areas are out of bounds to all pets at all times and under no circumstances may they be used for bathing pets. • Daily fee is $8 per day or weekly is $40. • Pets must be in no way aggressive or destructive. • Only pets that have been declared are allowed onsite Owners must have control of pets at all times on a lead. • Owners must pick up dropping after pets immediately Owners are to protect the native wildlife. • Owners are to bring pets bedding and bowls. • Pets should be in good health and free from fleas. • We recommend that pets be undergoing a tick treatment. • Pets must not be left alone, on-site, at any time during the guests stay unless arrangements have been made with Management. • Pets must not be allowed to bark or indulge in antisocial or destructive behaviour. • As the pet owner you accept full responsibility for any personal injury or damage caused by your pet whilst in our park. • We do not permit large dogs or dogs that are registered as a dangerous breed. • The manager reserves the right to ask any guest with a pet to leave immediately if the above rules are not complied with or the pet is causing a nuisance. If it is found that the pet is or has been inside the building then there is an additional cleaning fee and a treatment required. This is an extra charge of $100 which will be taken out of bond.